Are you ready for another non vegetarian recipe. This time I am preparing a dry dish that can be eaten with roti or just a nice big salad if you wish to avoid carbs at night. 1. 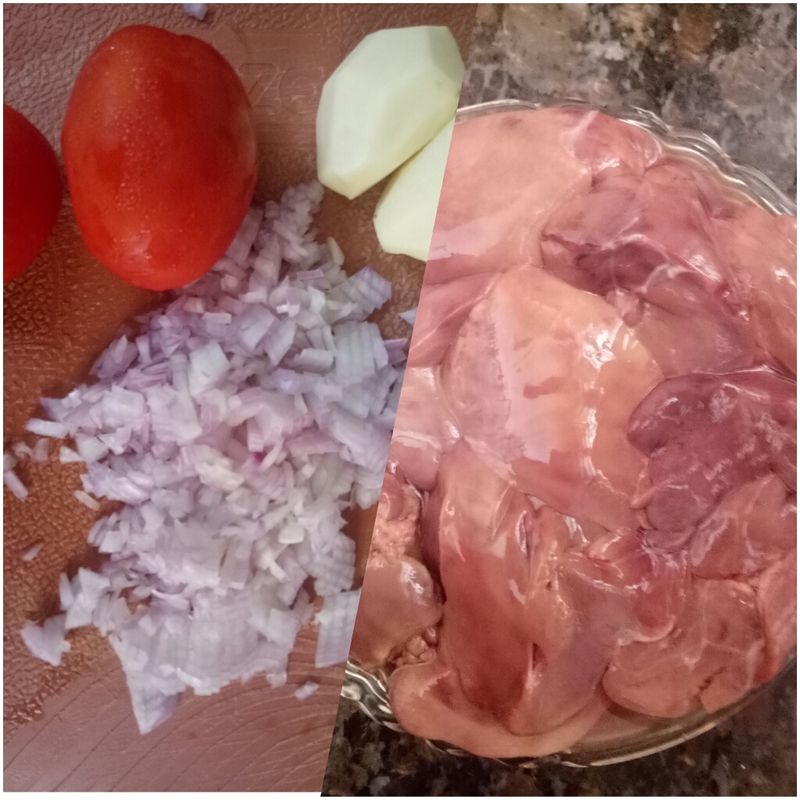 Chicken liver does contain a large amount of cholesterol, but it also supplies healthy doses of many essential vitamins and minerals. 2. Chicken liver also provides a healthy dose of iron and zinc. Iron enables your body to use oxygen efficiently and to make new red blood cells. 3. Liver is filled with protein and is an excellent source of vitamin A, vitamin B-12, riboflavin and folate. 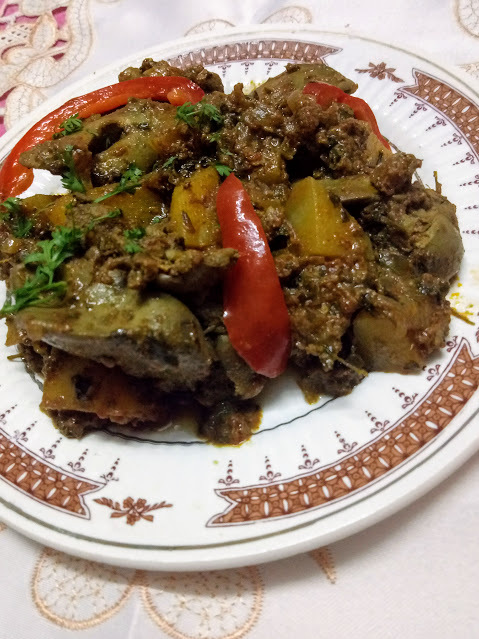 There are many people who don't like taste of kaleji but this recipe is easy and healthy, worth a try. 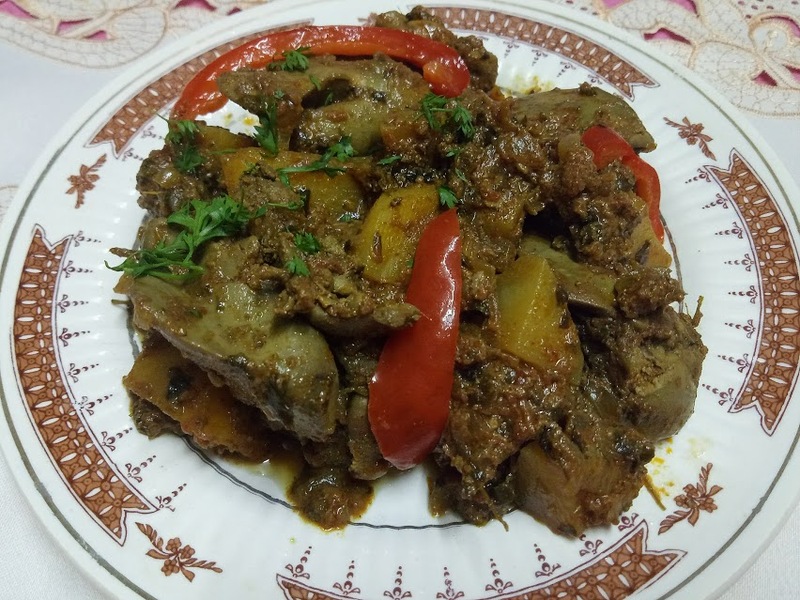 So now let's prepare this simple chicken liver masala. First wash the chicken liver very well under running water. In a pan, heat oil. On a high flame, add finely chopped onions, cumin seeds and ginger garlic paste. Stir and cook like onions gets translucent. Add the chopped tomatoes, dry spices, tomato ketchup and saute till oil leaves the side of pan and tomatoes get cooked. 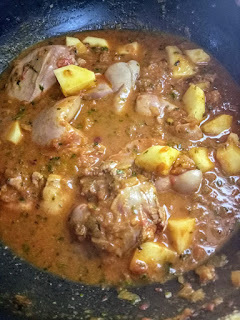 Now add chopped potatoes, liver and salt to taste. 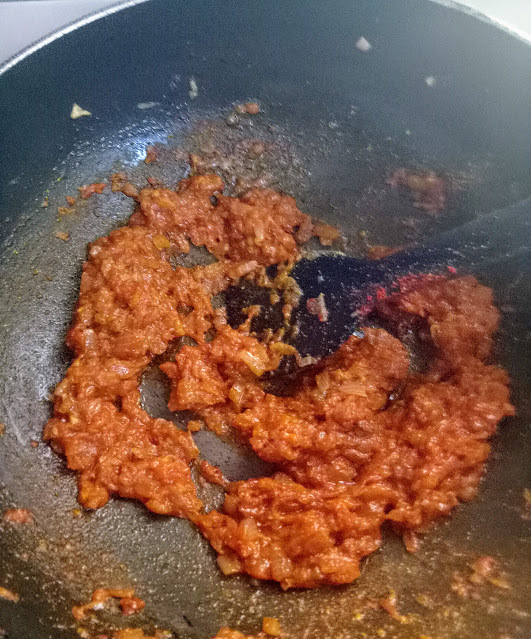 Let it cook in the onion/tomato masala. Stir and cook well, add a little water to dish and cover and cook till water evaporates. Liver cooks fast, do not over cook or it will get hard and rubbery. Garnish with coriander leaves. And serve with a dash of lime.